Vintage 1928 watch back bezels, silver plated. 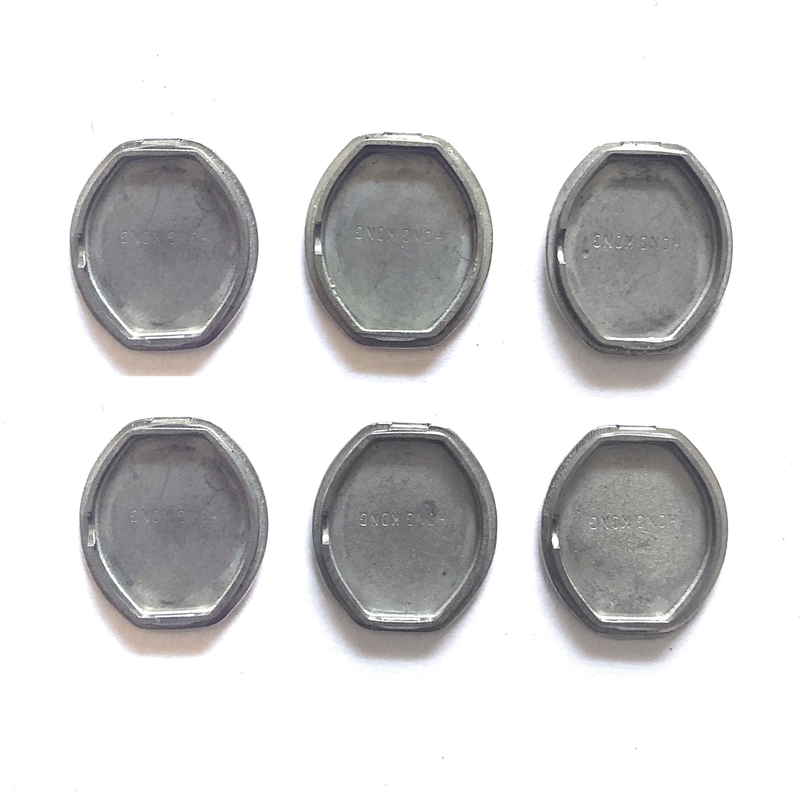 These are so great to use for assemblage, for small amounts of resin, for ceralun, etc. The back is a shiny silver so you could embellish them and they would make great earrings. Also great in steampunk pieces, The possibilities are endless! Set of 6 pieces.